Working at The Customs House I discovered the best British theatre being screened in our cinema. Have you heard of live theatre being screened in The Customs House cinema? I’m Elizabeth and I work here at The Customs House in the Learning and Participation team with children and young people. When I joined the team here about three years ago I discovered NT Live (National Theatre Live) and other live theatre broadcasts in our cinema. I had never been to a screening of a play before I started work here. I’d never heard of them and and didn’t know what to expect. I’m now a big fan want to share why I think as a Customs House visitor you should give them a try too. Julie is the next NT Live play on at The Customs House. Get your tickets here. 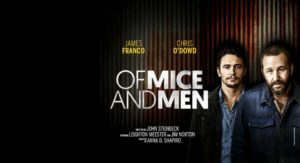 My first visit was to see Of Mice and Men with my mum. The live broadcast starts with footage inside the theatre. You can see people arriving and taking their seats. It gives you a sense of being there and is really atmospheric. Before the play starts sometimes a presenter introduces the show. These can give you interesting snippets about the decisions the director has made or let you know what inspired the cast. 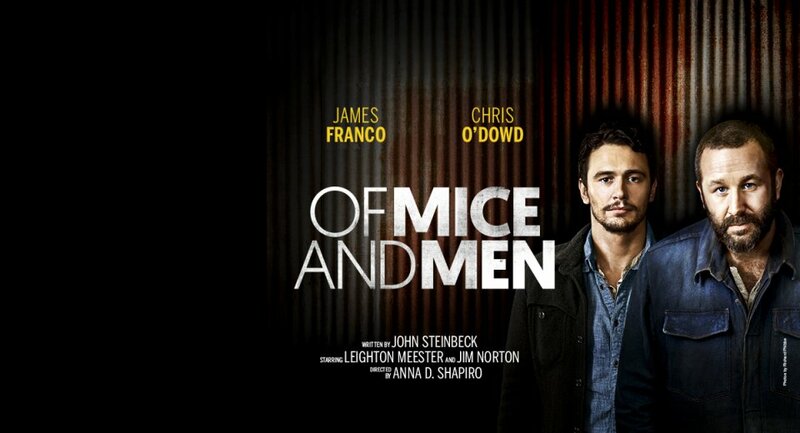 The performances in Of Mice and Men were world class. Chris O’Dowd was brilliant as Lennie. In the intermission there was a chance to nip out and get a drink but I stayed in and watched a mini documentary about life in the American dust bowls. When the second half was over I felt like applauding. My mum really enjoyed it. We talked about it in the car home. Now she asks what’s coming up in the cinema. I was sold on the experience. At its heart it’s just terrific storytelling in relaxed surroundings. Looking through our What’s on Guide the next thing I picked was Deep Blue Sea. I didn’t really think it would be my mum’s cup of tea so made it a date night. Again the performances were great and the set was stunning. Your getting to see world class productions in your home town at a fraction of the price it would cost for travel and theatre tickets to London. If you haven’t been before I hope you found this interesting and consider visiting The Customs House to catch the best British theatre here in our cinema. And remember if you do come to follow the conversation on twitter afterwards and tag @thecustomshouse in!